Fresh water makes up only 2.5% of all the water on the planet. Pollution has affected salt and fresh water equally, but given the small amount of fresh water we should really work harder to protect it. There are plenty of things we can do to save water, such as the following innovation from Australia that helps protect water from plastic waste. The new system has the ability to prevent dangerous plastic from being released in the water. The authorities from Kwinana Australia have introduced the new technology in the filtration system in the Henley Reserve. The dangers of water pollution are getting more serious each year, which is why this new technology is more than helpful. It is also a very simple system that works wonders. The best part is that it is entirely eco-friendly. The system has big nets that are placed on the drainage outlets catching all the plastic debris preventing it from getting in the water. The technology can also be used for residential drainage. At first the Australian authorities placed two nets which provided incredible results. They managed to capture about 800 pounds in just a few weeks. Once the nets are full, the garbage is taken away for further processing. Since the initial results were so promising, the authorities decided to install the nets all around the city. When the net gets full, workers lift them out, vacate and fix them again. And throw the garbage into the garbage trucks to send it for further processing. The system is affordable, simple and very efficient. 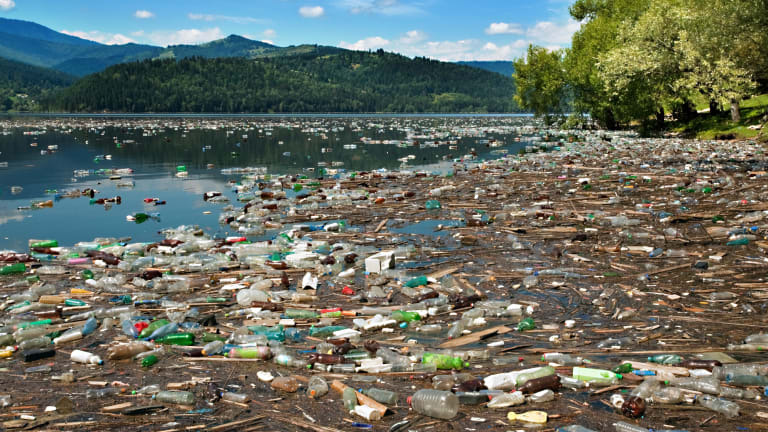 Unless treated well, plastic can cause serious damage to the environment in all aspects. We hope other countries will follow this example.